My dreams will go unfulfilled? I don’t like the sound of that one bit. When we bought this house it ticked most of our boxes. The only box left unticked was the one next to “Fireplace.” But other than not having a fireplace in the sitting room, this house was exactly what we were looking for, so it seemed like a reasonable compromise. Our living room before we set about building cabinetry and after we’d done a lot of tidying. 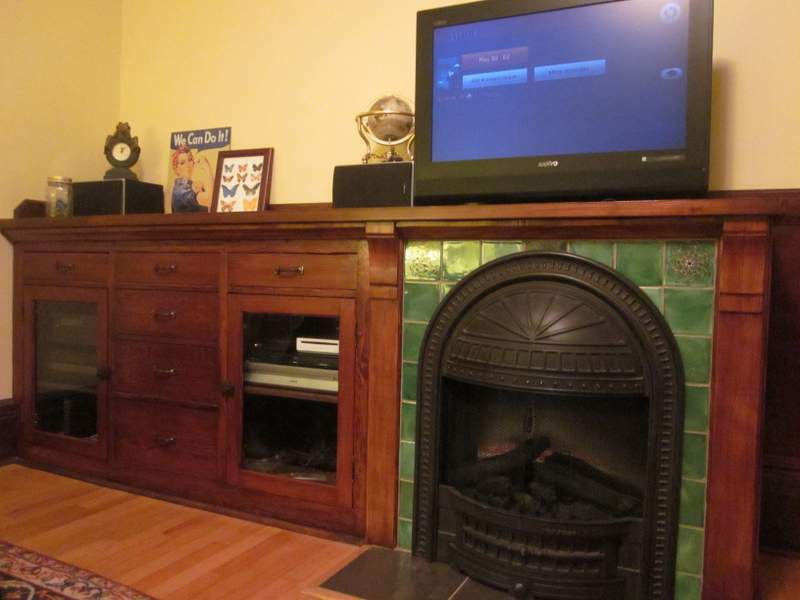 This was our sitting room back in February 2012. The armoire, which we bought at Slumberland circa 2000 AD, was designed to house a giant TV from the 90s. 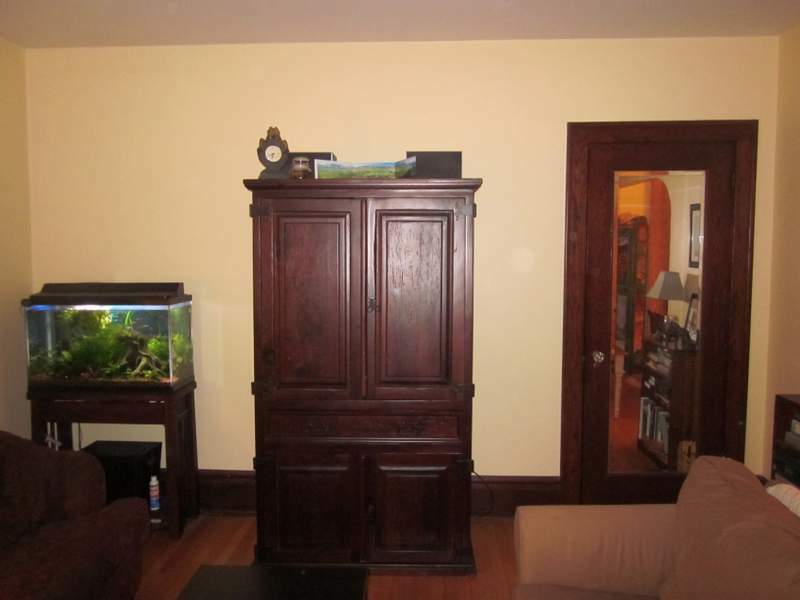 It was quite an imposing piece of furniture, and tended to loom over the living room. But it was very useful for housing all the electronics, DVDs, and CDs, and keeping the clutter at bay. After we bought a flat screen TV, we realized that we no longer needed such a deep cabinet. We began to think about making a built-in cabinet that the TV could stand on top of, and the electronics could go inside of. That way, we would have the same storage capacity with less loominess. Then we began to talk about incorporating the fireplace we’d always wanted into period-appropriate cabinetry, simultaneously satisfying our desire for fire and reducing room loominess. Stacey did some research and found that fake fireplaces were even a thing in the 1920s, so it was arguably period-appropriate. 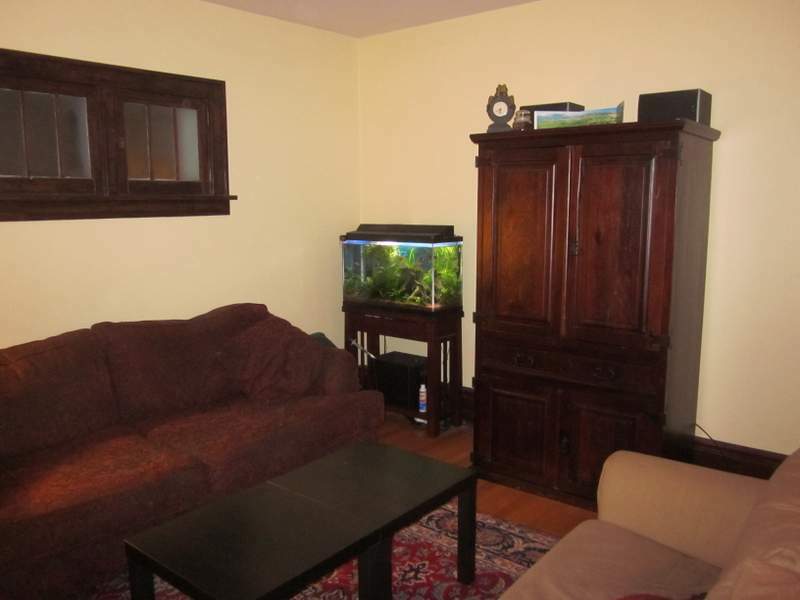 And that was how we developed our cunning plan to construct a built-in cabinet and fireplace. 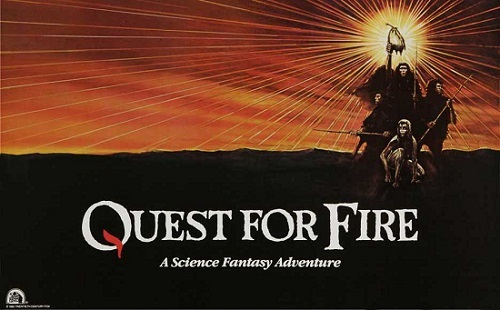 Could our quest for fire be satisfied? Designing the associated built-in cabinetry. Clearly, this was a project where we would have to decide what we were doing, and with what, before we broke up a perfectly good sitting room. Eventually, we came up with answers to most of our questions, and this was the result. This is the first “after” picture we took of the finished cabinetry, incorporating a fireplace. For the next few posts, I’m going to be talking about the process we went through to get to this point and beyond. The first thing we tackled was deciding which kind of fire to install, which will be tackled in turn in the next post. This entry was posted in Before & After, Construction, Decor, Furniture and tagged arts & crafts period fireplace, built-in cabinet, built-in cabinetry, fireplace cabinetry, installing a fireplace, making a fireplace, mission period fireplace. Bookmark the permalink. I look forward to your reading about how you designed it. Thanks, Kathleen! That is a great compliment. 🙂 We did cheat, though — some of that cabinetry was already built.